Racks come complete with stainless steel hardware and are protected by a durable white powder coat finish. Also available with extra cross support for carrying shorter loads. 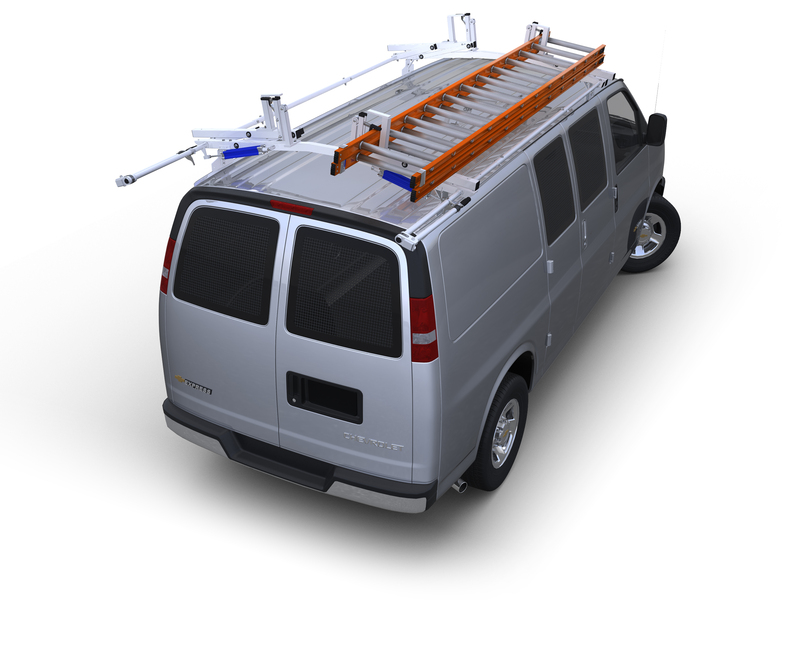 Racks mount in full length aluminum channels (included) that attach to the vehicle utilizing existing factory mounting points eliminating the need to drill holes in the roof.